GB women’s under-17 team lost their second European Championship match, against Ukraine, 18-35. GB started well with captain Storm Judge winning and converting a penalty and then adding a powerful jump shot. However, clinical finishing, combined with good goalkeeping, saw the strong Ukrainian side lead 18-9 at the break. GB came out fighting in the second half and a 5-1 run saw the Ukrainians reeling and the gap close to 14-19. However, just as in the first game, GB started to tire. The more experienced Ukrainians hit them on the break, punishing every mistake, and finish the game with a run of goals. Despite the defeat there were positives to take from the match. 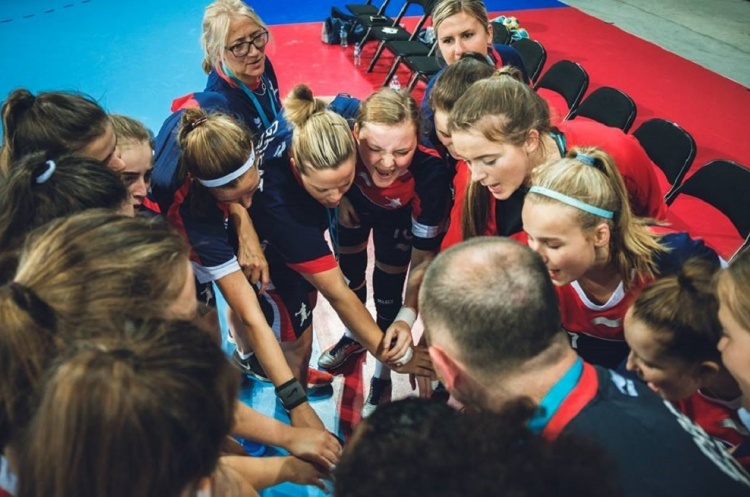 GB joint-coach Gary McCafferty commented: “I was happy to see the girls improve on yesterday's performance and implement the changes we worked on in training. Kate Heginbottom was again GB’s top scorer with five goals, while Storm Judge added four and Camilla Salter Jessen three.